Edmond product Josh Richardson, an emerging NBA star with Miami, loves going to Braum’s when he’s in OKC or Dallas. 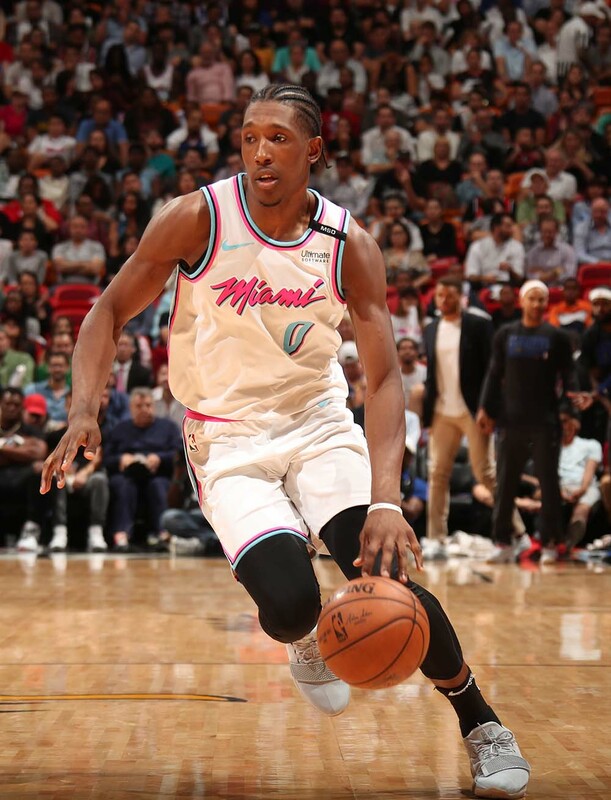 Anytime Edmond native Josh Richardson returns to this part of the country during the NBA season, the fourth-year Miami Heat player always stops at a specific Oklahoma City-based chain. Richardson, Miami’s second-round pick in the 2015 draft, has averaged about 17.5 points per game (a career best) this season, along with about 4 assists, 3.5 rebounds and 1 steal per game. Erik Spoelstra, the Heat’s longtime head coach, chalks up Richardson’s marked improvement to hard work. Richardson’s evolution as a reliable NBA player comes after four years at the University of Tennessee, where he earned first-team, All-Southeast Conference honors in 2015 and was a two-time selection to the league’s all-defensive team. The 6-foot-6 shooting guard has acclimated to living and playing in south Florida but also likes discussing the Sooner State. He says he misses Edmond and “just how relaxed it is, how carefree you can be there. Terrance Ferguson (Oklahoma City Thunder), Blake Griffin (Detroit Pistons), Ekpe Udoh (Utah Jazz) and Trae Young (Atlanta Hawks) and Richardson are the only Oklahoma natives playing in the NBA. Richardson has a strong bond with Udoh, who also attended Santa Fe High School in Edmond. The affable Richardson says he knows how much he’s changed as a professional. Richardson’s maturation is evident to Spoelstra and the rest of the Heat organization, so Miami has asked more from Richardson, who, at 25, is considered a veteran. With an uptick in responsibility, he has calmly handled pressure. “I don’t have individual goals for him, but I want him to focus on being a dominant two-way player, which he’s capable of,” Spoelstra says.